I made chocolate ice cream for pud tonight and I think it was my best yet. Everyone enjoyed it and my son polished it off which is a real mark of success as he is the hardest to please. My husband and daughter can eat any kind of ice cream but they both loved this one! I have an ice cream attachment for my KitchenAid mixer, it’s a little temperamental but when it’s behaving I get great results. Add the cocoa, icing sugar and Maple syrup and blend until well combined. Add mix to ice cream maker and churn as per instructions, I spooned the mix in as my ice cream maker tends to jam if I pour it in and I make less mess that way. I added a small handful of mini marshmallows and dairy free chocolate chips after about 15 minutes which was lovely but freaked out my ice cream maker. My husband sorted it but any tips on adding extras to your home made ice cream would be gratefully received!! We ate it with the mini egg free meringues I made yesterday. But of a sugar rush but it is Father’s Day so nice to have a treat! This looks delicious, I need to get another icecream maker. It really was rather nice! 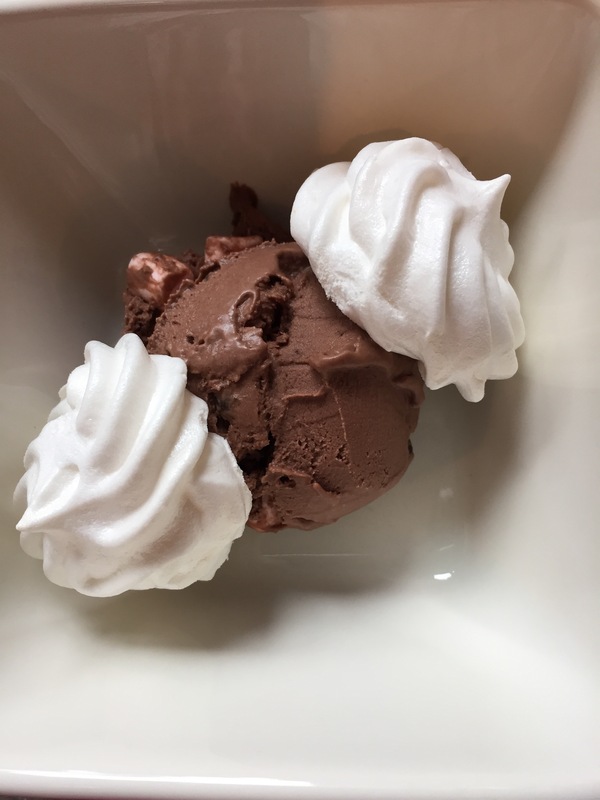 I started out making ice cream with less sugar but my kids definitely prefer it sweeter! Will definitely be trying this one Laurna, thanks a million!